Vestavia Hills Public Library in Birmingham, Ala. and Wethersfield Public Library and Hartford, Conn. have made the switch to RFID, and done so with the backing of 3M Library Systems. Schedule to open in mid-November, Vestavia Hills will begin tagging 90,000 items in its current collection with 3M RFID tags in combination with it purchases, which include 3M SelfCheck Systems, staff workstations, detection systems, digital library assistance and conversion system. Similar in approach, the Wethersfield Public Library will tag its more than 1000,000 items to help handle a circulation and to allow self-checkout and return with the 3M SelfCheck System. 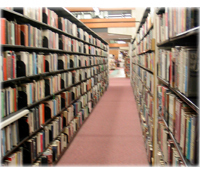 The new systems will allow staff to scan an entire shelf of books at one time and also will allow several items to be checked out all at once as oppose to one at a time.